Nargis Dutt Film Actress, 1 June 1929 – 3 May 1981 -- A reality for human throb! 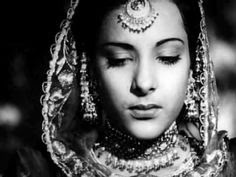 Nargis Dutt (1 June 1929 – 3 May 1981), born Fatima Rashid but known by her screen name, Nargis, was an Indian Film actress working in the Hindi cinema. She made her screen debut as a child artist in Talash-E-Haq in 1935, but her acting career began in 1942 with Tamanna. During a career from the 1940s to the 1960s, Nargis appeared in numerous commercially successful as well as critically appreciated films, many of which featured her alongside actor and filmmaker RAJ KAPOOR . 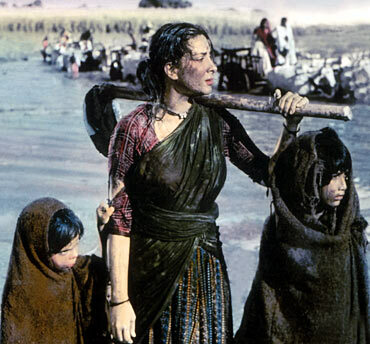 One of the best-known roles of Nargis was that of Radha in the Academy Award -nominated film Mother India (1957), a performance that won her Best Actress trophy at the Filmfare Awards. In 1958, she married her Mother India co-actor Sunil Dutt, and left the film industry. She would appear infrequently in films during the 1960s. Some of her films of this period include the drama Raat Aur Din(1967), for which she was given the inaugural National Film Award for Best Actress. Along with her husband, Nargis formed the Ajanta Arts Cultural Troupe, which involved several leading actors and singers of the time and held stage shows at border areas. In early 1970s, she became the first patron of Spastics Society of India, and her subsequent work with the organisation brought her recognition as a social worker, and later a Rajya Sabha nomination in 1980. Nargis died in 1981 of pancreatic cancer, a few days before her son Sanjay Dutt made his debut in Hindi films. In 1982, the Nargis Dutt Memorial Cancer Foundation was established in her memory. The award for Best Feature Film on National Integration in the annual National Film Awards ceremony is called the Nargis Dutt Award in her honour.